Horace P. Williams. Johann Sunderlage. Frederick Nerge. Charles Meacham. Ebenezer Colby. Henry Myers. All of these gentlemen have one thing in common. 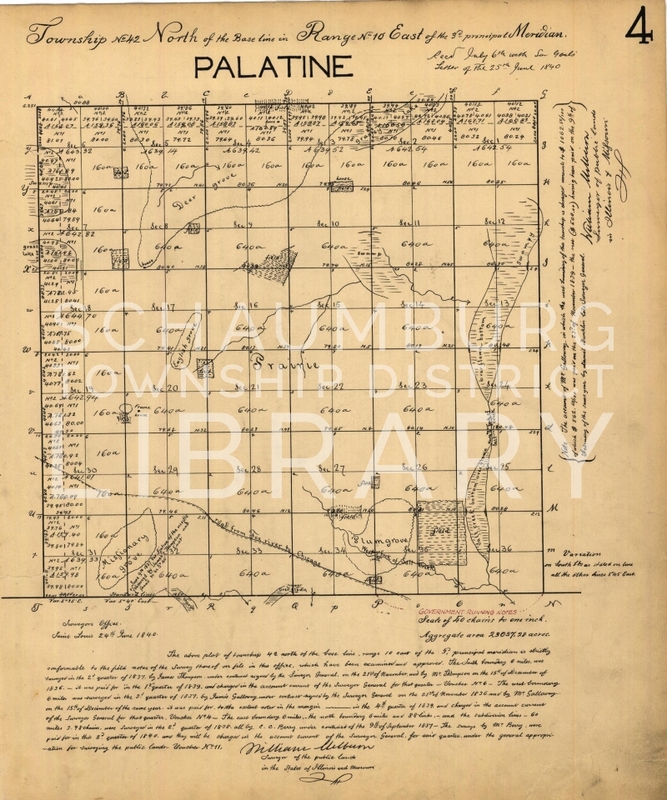 They were all original settlers of Schaumburg Township and purchased the first land patents sold by the federal government. He wasn’t far off. 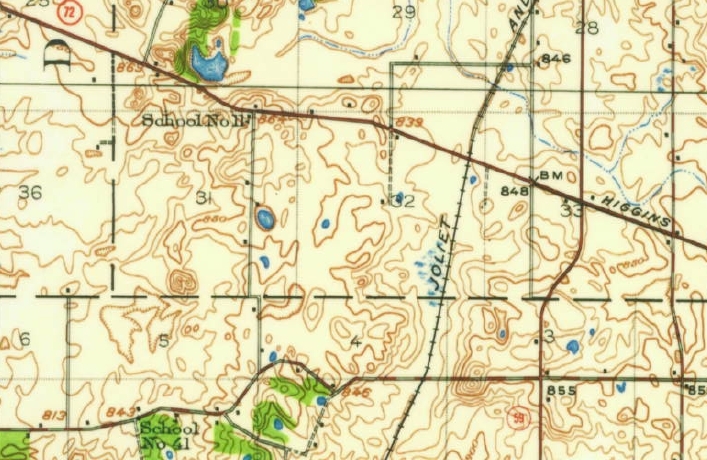 Find Sections 9 and 10 at the top of this 1935 topographical map. You will notice the land at this point is rolling and that there is even a stream flowing through the area. It would have been perfect to have such a nice vantage point and water close by. 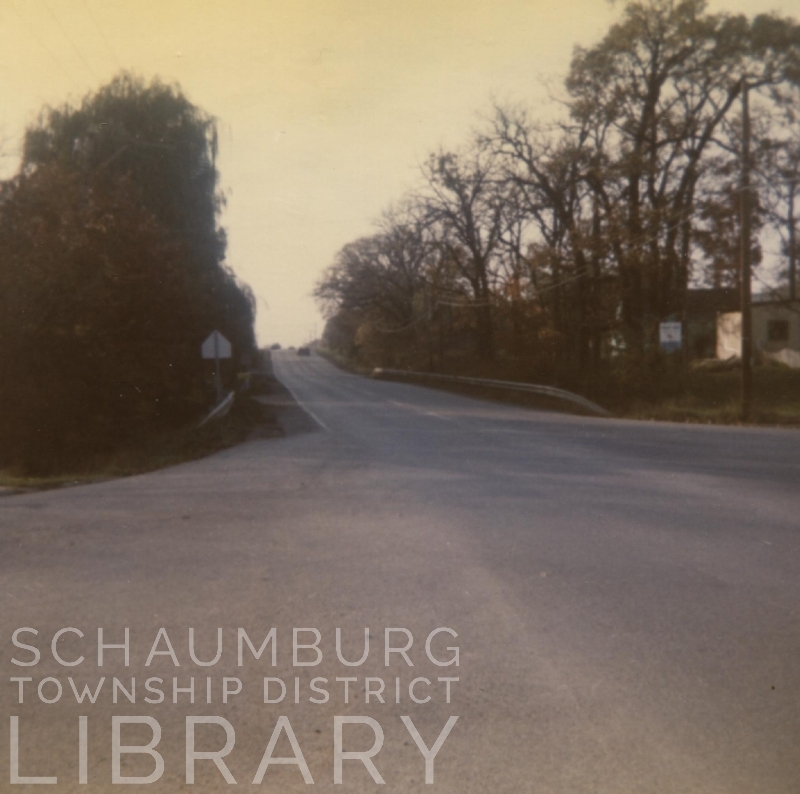 His enthusiasm for the site drew other members of the Jewish Settlement Society to follow him to Schaumburg Township, including his brother-in-law, Moses Kling. Only a couple of the members eventually bought land nearby. Most either chose to return east to Chicago or went further afield in Illinois and points westward. 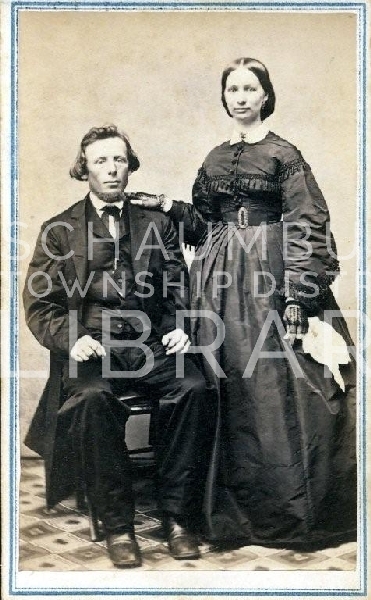 Mr. Kling and his wife, Regina, settled in Palatine in Section 29 for a number of years. This was both due north of Mr. Meyer’s property and of Algonquin Road. According to the 1884 History of Cook County by A. T. Andreas, the Klings house served as a post office for Palatine Township in the mid 1850s. The Klings are also listed in Palatine Township as of the 1860 census. 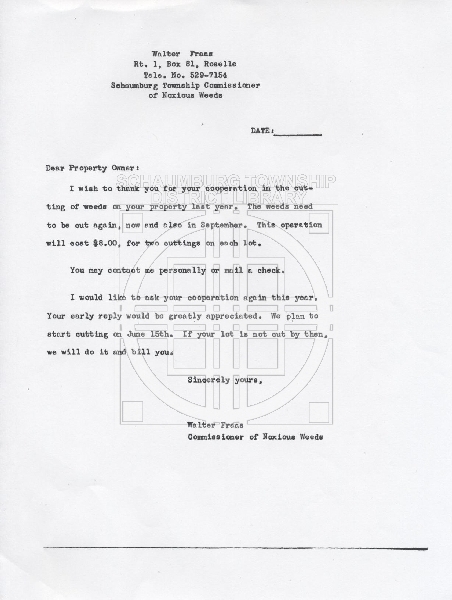 Mr. Meyer, though, had already sold his property and moved to Chicago. 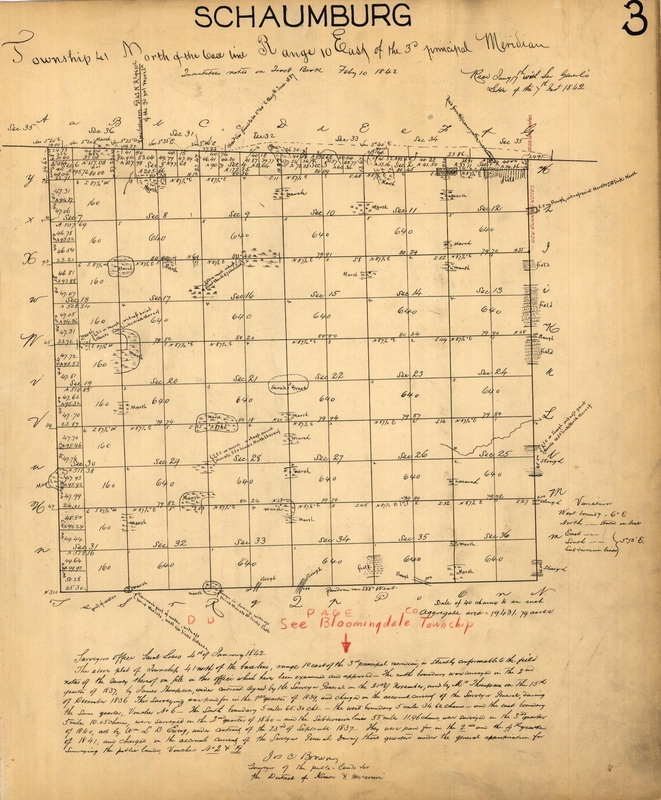 According to History of the Jews in Chicago, Meyer continued his land purchases and began investing in real estate. In fact they list him as the first Jewish real estate dealer in Chicago. Unfortunately, we lose track of Mr. Meyer after this point. However, it IS possible to follow the Klings. They were living in Chicago by the 1870 census. According to findagrave.com, Moses died in 1872 and Regina died in 1885. 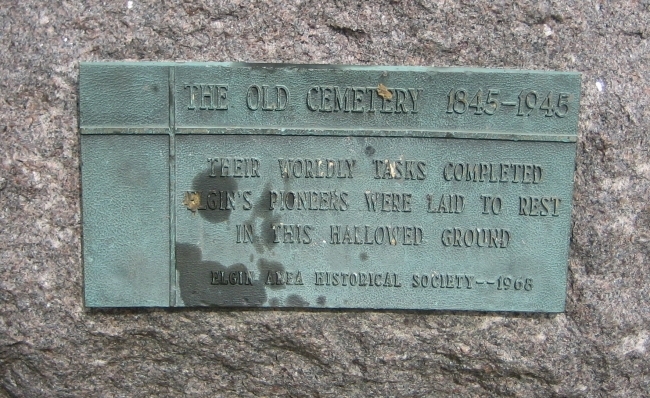 Both are buried in Zion Gardens Cemetery. 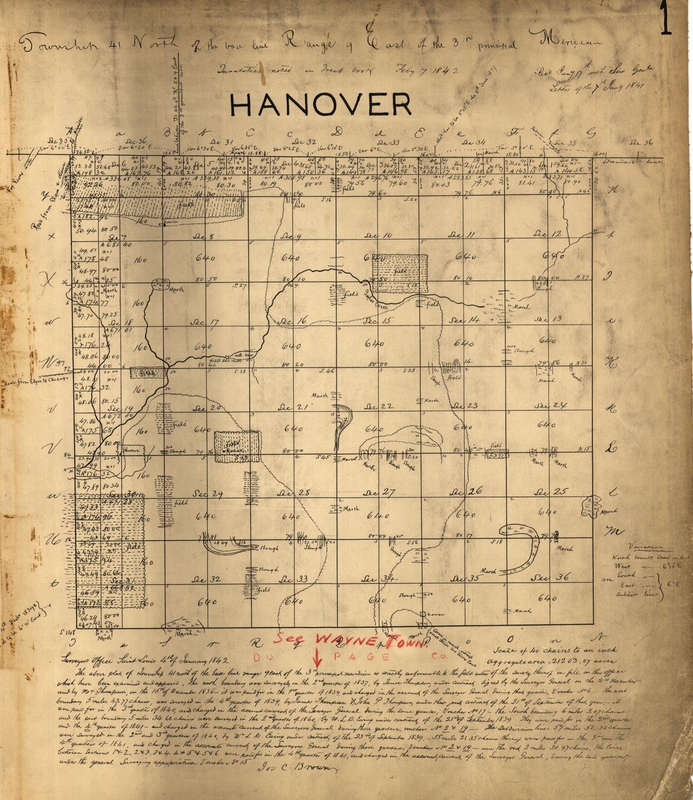 Is it possible Mr. Meyer is buried there too in an unmarked grave? 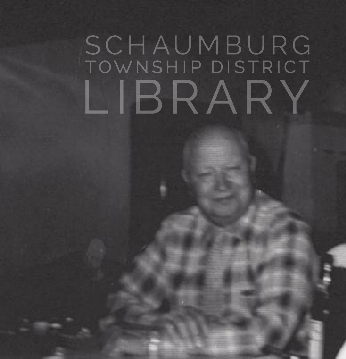 Despite the difficulties in tracking Mr. Meyer’s life past Schaumburg Township, it is good to know of his importance to both our township and Cook County. 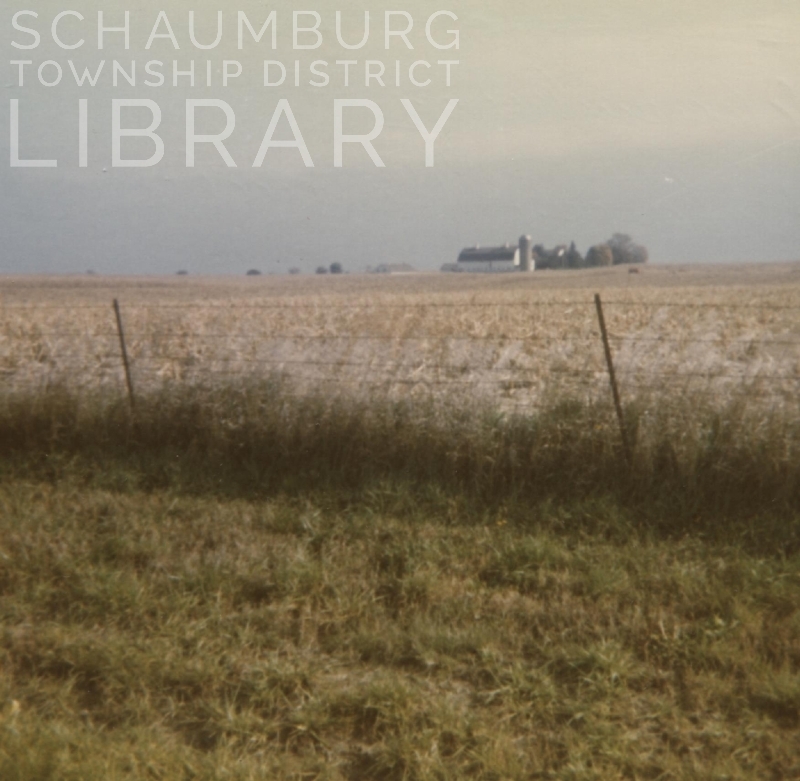 Of all of the areas he scouted in the larger Chicago area, it was Schaumburg Township that caught his eye and captured his imagination. 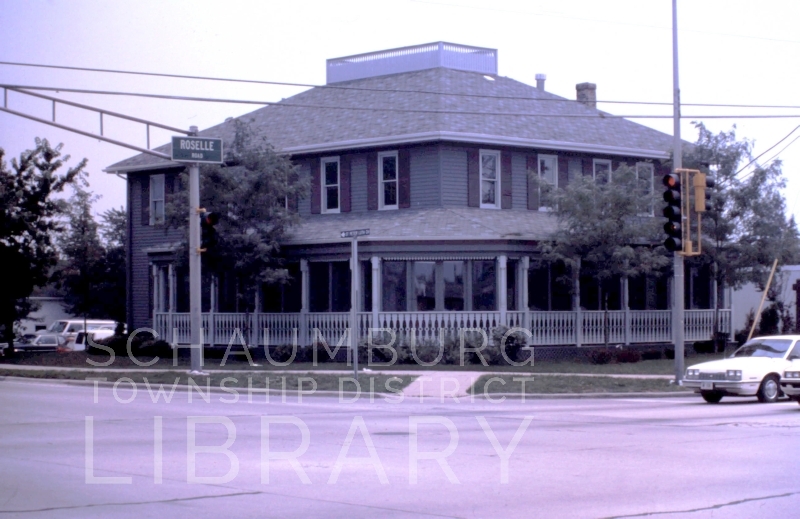 Over the years, we have obtained cookbooks from various churches, schools and organizations of Schaumburg Township. They are an interesting snapshot of the home culture of the day and also provide us with names of the local cooks. 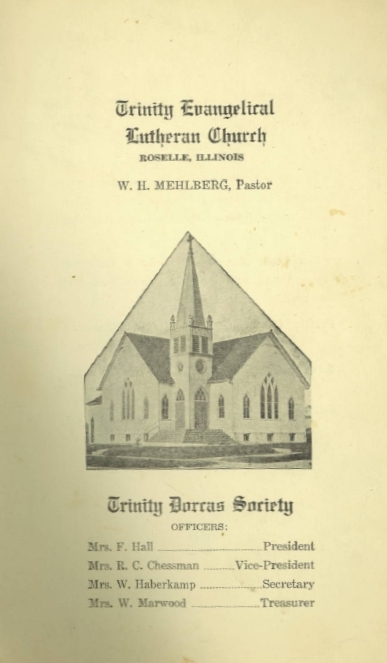 This cookbook from Trinity Lutheran Church in Roselle was passed on to me not too long ago and was published sometime between 1936 and 1942. 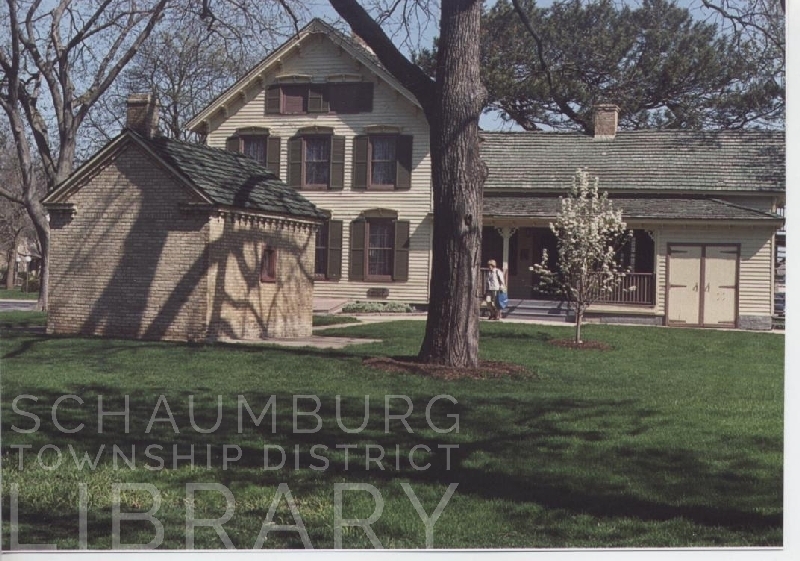 While it has interesting recipes like Spinach Mold, Creamed Kohlrabi and Ham Tiffle, there were a fair amount of recipes from some of the German farm families of Schaumburg Township. The names were recognizable and it was interesting to note the variety of recipes and ponder how many of the dishes are still in the cooking repertoires of those families. Also included in the pages of the cookbook are ads from various local businesses–most of which were Roselle-based businesses. 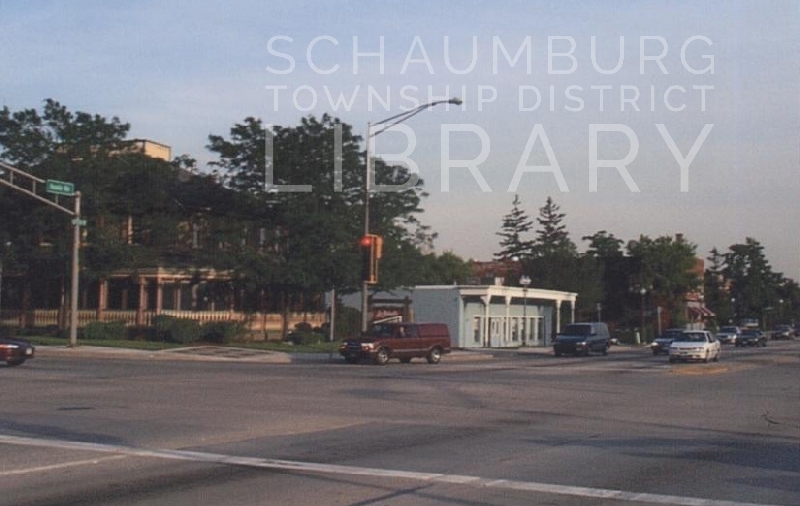 However, two Schaumburg Township businesses were also listed and, not surprisingly, both were located at the intersection of Roselle and Schaumburg roads. Botterman’s Garage (as it was known by the locals) was directly to the south of the current Lou Malnati’s on Roselle Road. 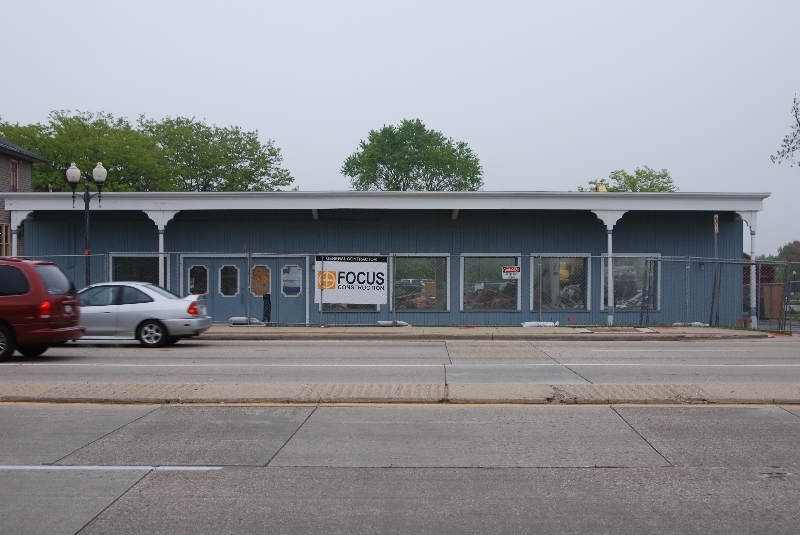 According to an article from the Roselle Register (May 14, 1959), the building was dated as a “45-year-old garage.” We can then derive its origin as circa 1914. 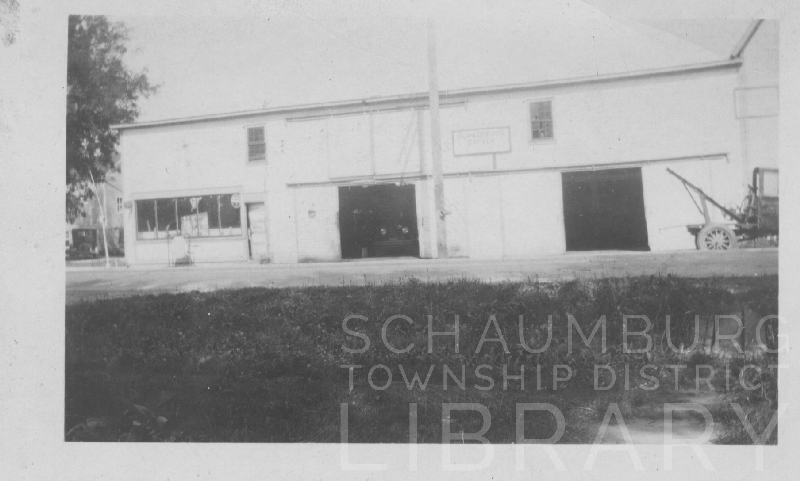 This photo of the garage was taken around 1928 during an earlier ownership. Roselle Road is in the foreground. 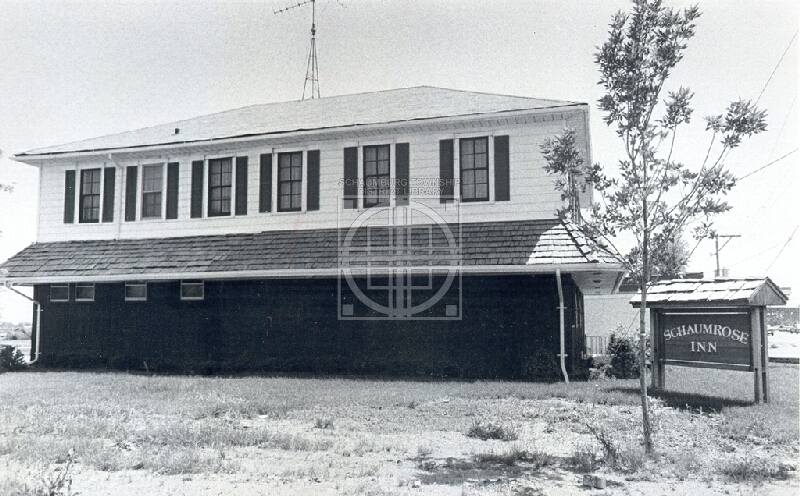 In 1957 Lake Cook Farm Supply built this low building for their retail location. If you remember this building next to today’s Lou Malnati’s, it is a bit confusing to imagine a garage in between the two. 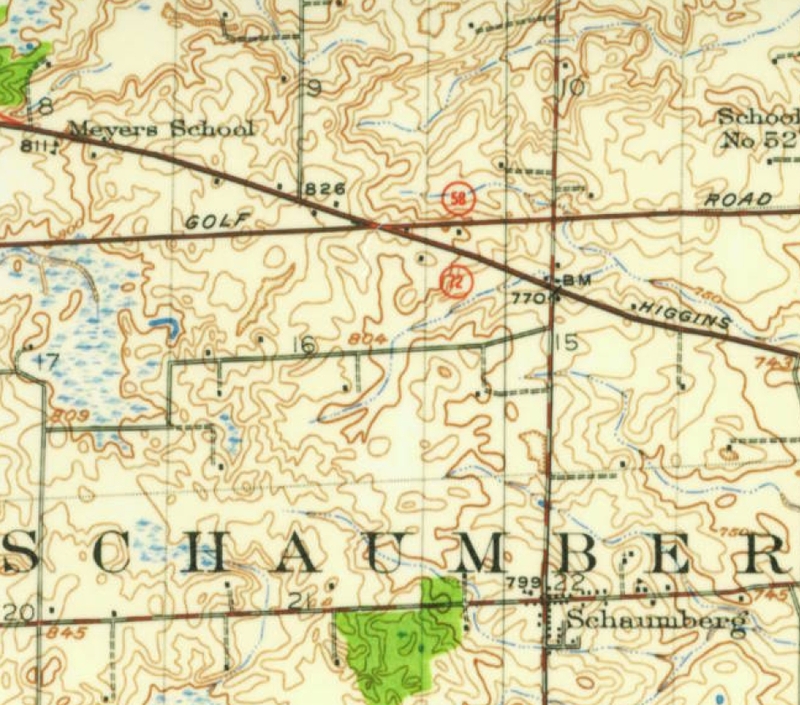 It is important to keep in mind that in 1957 the intersection of Schaumburg and Roselle Roads was much smaller, with only two lanes in both directions. The garage remained in between the Farm Supply and Niemann’s Tavern (Lou Malnati’s) on the corner until May 1959 when it burned down. The Roselle Register article states that the “two-story frame garage” was “two doors away from the intersection of Roselle and Schaumburg rds.” The fire leveled the garage in an hour. With the open space created, this is what made it possible to move today’s Lou Malnati’s when the intersection was widened in 1980. The tavern was then moved 35 feet to the south and east. A few doors down from Bottermans was the other business mentioned in the cookbook–Hattendorf’s Grocery. Herman Hattendorf opened a small grocery store on Roselle Road in 1932 in a house that had been owned by Alma and Frank Lengl. Mr. Lengl was the nephew of Frank Lengl who was the proprietor of Lengl’s Schaumburg Inn, which is today’s Easy Street Pub. When opened, the grocery store was small in scope but carried enough basic products to satisfy the farmers who were the main shoppers. As one of our oral historians mentioned, the locals would often bring in eggs to barter with. If she brought in one extra above the normal dozen, she was allowed the delight of picking out a piece of candy. 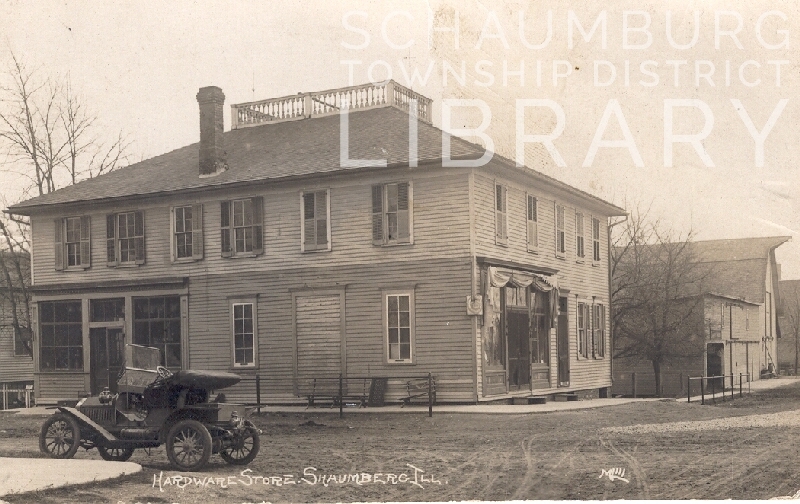 It is also interesting to note that, in Genesis of a Township, Mrs. Lind also notes that Herman and Clara Hattendorf delivered groceries by truck throughout the township. In essence, it was an early Peapod! 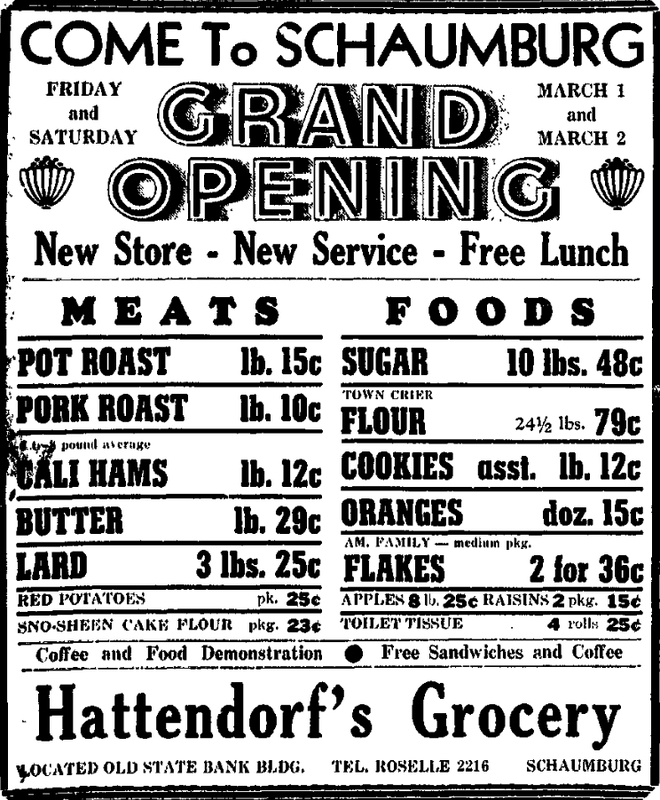 Considering that this was the height of the depression, Mr. Hattendorf managed to stay afloat and even had the store repainted “a combination of white and green.” [Cook County Herald, September 30, 1938] Because it was a brick building, the story must have been referring to the interior. You can get an idea of the size of the store from this rear view photo that shows the store being torn down in 1982. 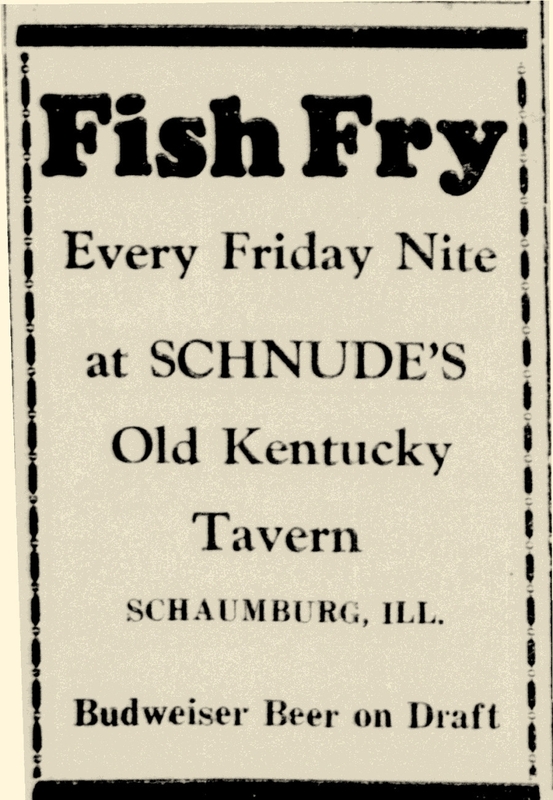 In 1940 though, Mr. Hattendorf was prosperous enough to buy the former Schaumburg Bank building that was on the northeast corner of Schaumburg and Roselle Roads as a new location for his store. The sale was announced in the January 19 issue of the Cook County Herald and said that Mr. Hattendorf planned to spend $3000 to remodel the interior of the building and even purchased additional ground to provide parking. The grand opening was set for March 1 and 2. 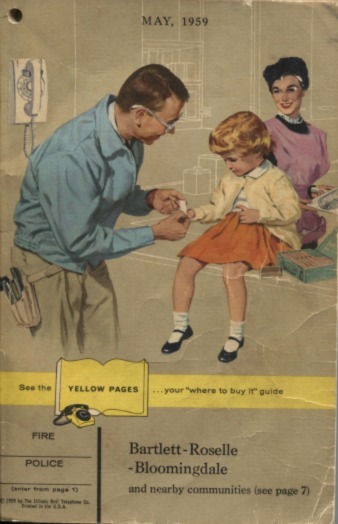 Interestingly, the article also states “the store at that time will be converted to the self-serve type.” This implies that in the old store, prior to the move, a list was given to Mr. Hattendorf and he collected the goods for the shopper–in an old-fashioned general store sort of way. The grocery store was in existence through at least 1955, but it has been difficult to determine when it closed. Suffice to say, it was a draw for the locals of Schaumburg Township and, obviously, a convenient store to have in the area. If you can provide any details, please provide a comment or send me an email. You never know what can be found in an old book and how it can trigger an investigation into our local history! 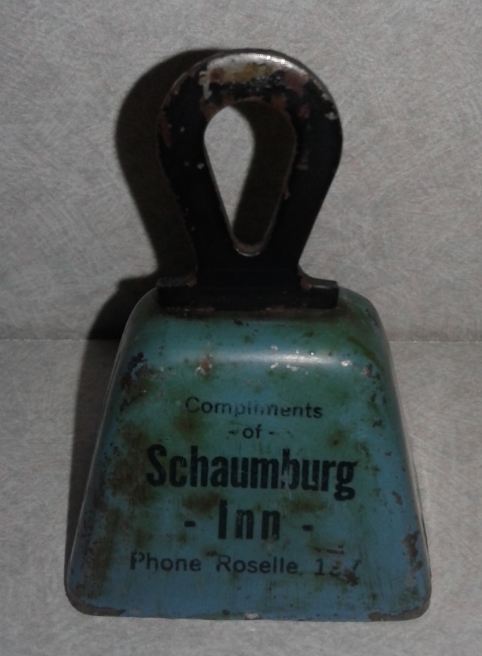 As mentioned in a blog posting from August 28, 2016, the Schaumburg Township Historical Society received a phone call from the Arnold family last fall. 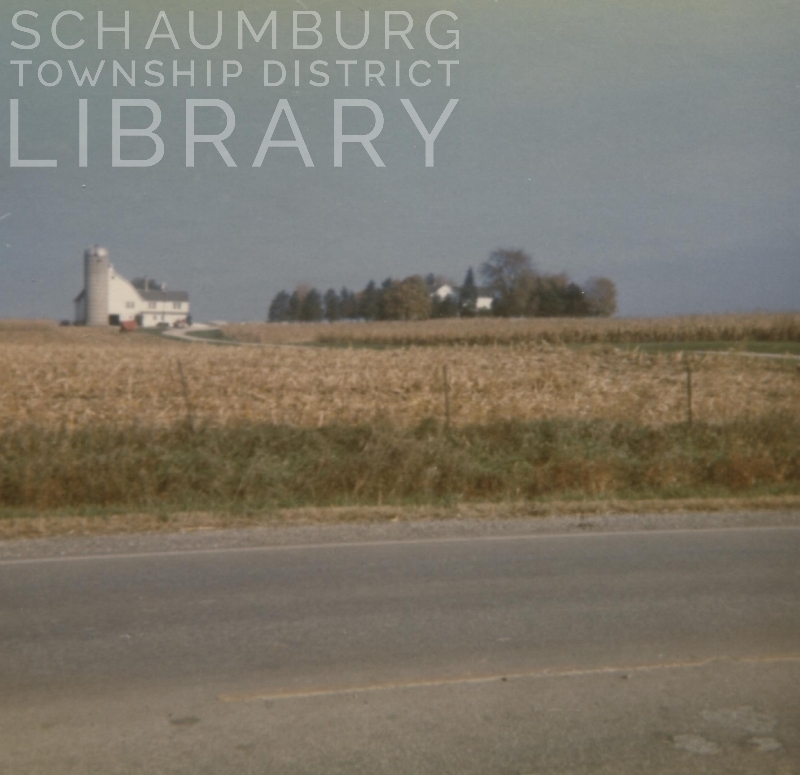 They had a collection of photos of Schaumburg that Mrs. Arnold took in the early 1970s. The pictures had sat in a drawer for the past forty years and they were hoping to pass them on to someone who might be interested. The Historical Society gladly accepted the photos and then kindly donated them to the library to add to our Local History Collection. Taken from Schaumburg Road between Walnut and Barrington Road. This is one of the McNaught-Odlum farms. The property was part of the Gertrude and Norris McNaught farm that was called Rolling Acres. 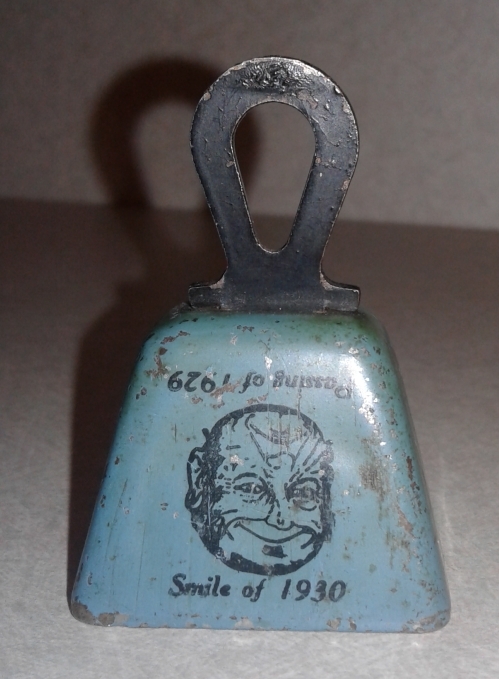 It was purchased from William Schuneman in 1937 by Gertrude and her husband Norris, who co-founded Duro Metal Products in 1916. Mr. McNaught died in 1942 and his widow later married his business partner, William Odlum. It became known as the Odlum property and was eventually sold for development in 1986. You can read about the Navy’s use of the property for pilot touch and go training here. This is a better vantage point of the farm and it is possible to note that the lane off of Schaumburg Road separates the barn from the house. In fact, there seems to be quite a distance between the two. It is also interesting how many trees and evergreens surround the house, providing shade and a wind break. What appears to be missing–or obstructed from view–are the many outbuildings that can be found on a farm, i.e. the machine shed, a chicken house, equipment shed, etc. Maybe they are tucked in amongst the trees or over the rise of the hill? The other McNaught-Odlum farm is in the distance with its big white barns and silos. 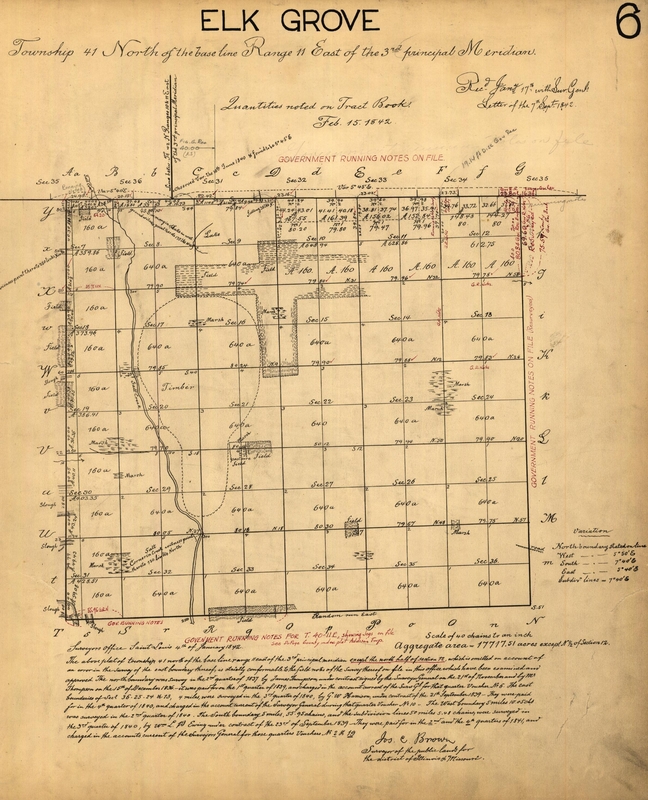 The acreage of this farm was substantial and the farm place itself was near the northwest corner of the intersection of Schaumburg and Barrington Roads. Looking southwest from the intersection of Schaumburg and Walnut Lane. The brown building on the corner is Christ the King Lutheran Church (then Our Shepherd Lutheran Church, now Salem Korean United Methodist Church) which was built around 1971. According to Mrs. Clapper, the church was initially intended to be an outreach center for St. Peter Lutheran Church. In the middle background are some of the buildings of the farm belonging to Mrs. Clapper’s parents, Herman and Edna (Greve) Volkening. You can see the large barn with the silos to the right. The white building to the left is the corn crib. In the far background are the Hanover Highlands homes. 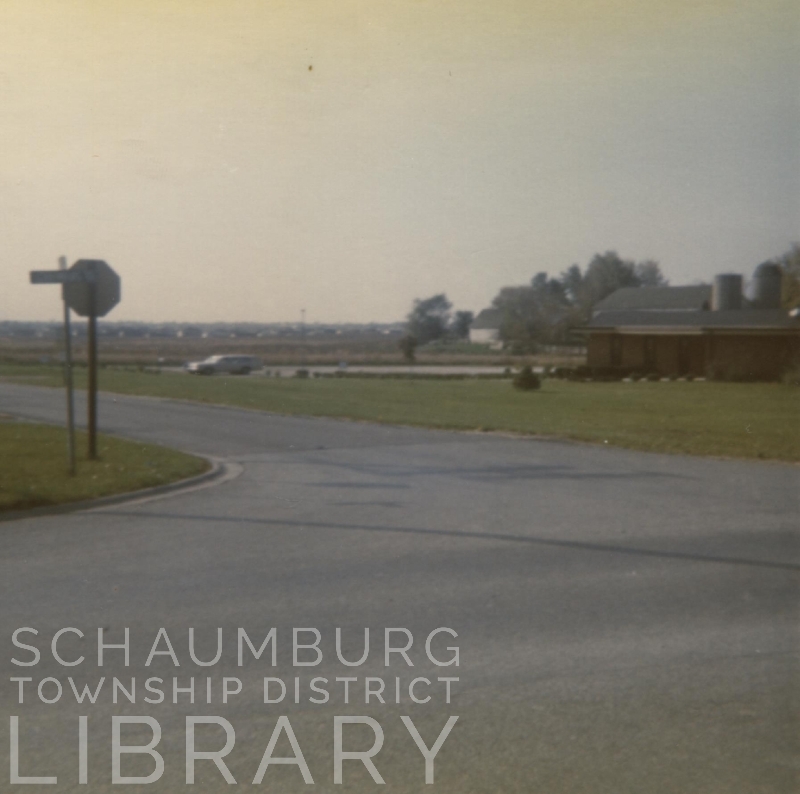 Schaumburg Road and Pleasant Drive looking northeast. As we look northeast, we can see the back of the strip mall that was on the NW corner of the intersection of Schaumburg and Roselle Roads. This strip mall–that was never named–was built around 1966 and remained on the corner until 2010 when the village bought the property for development purposes. The property is now the home of Pleasant Square–a residential development that includes row houses, townhouses and single family homes. Town Square sign at the intersection with Schaumburg Road. 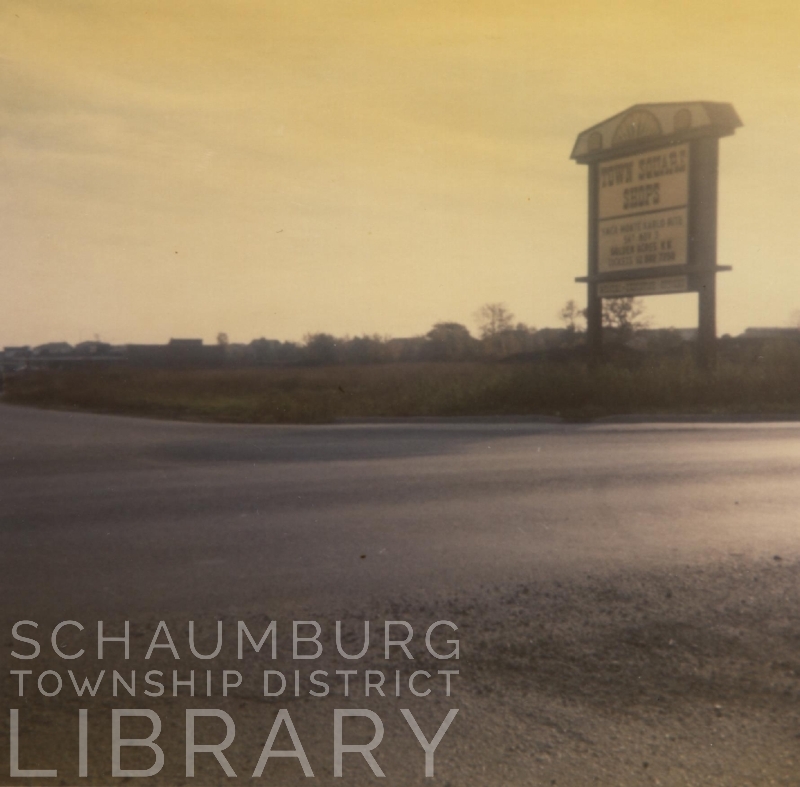 The Town Square sign on Schaumburg Road at Pleasant Lane notes the turnoff for the shopping center that opened in 1970. The homes of Timbercrest are in the background. 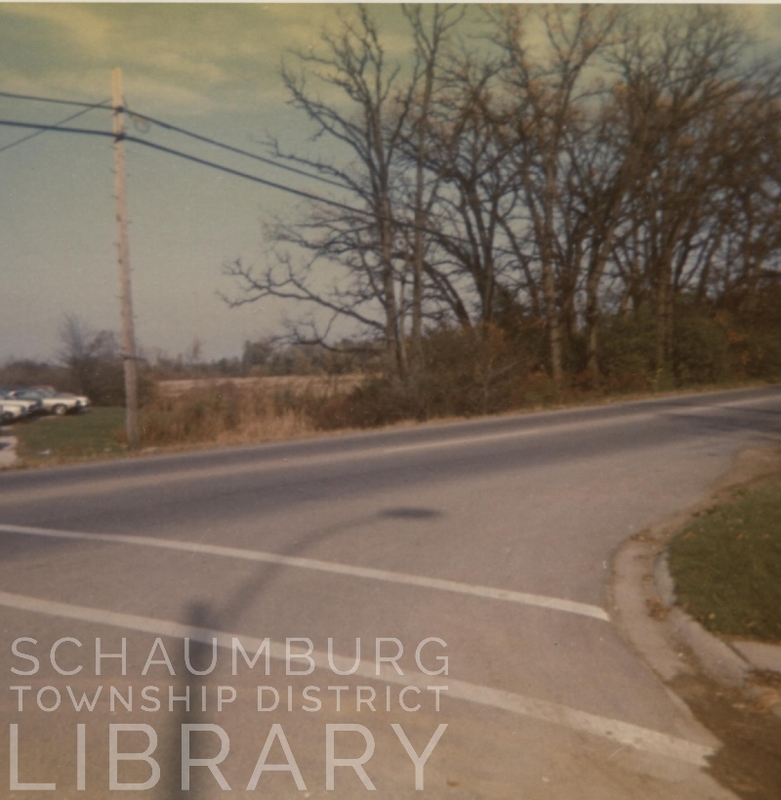 Looking across Schaumburg Road near Branchwood Drive at the property that became Friendship Village. 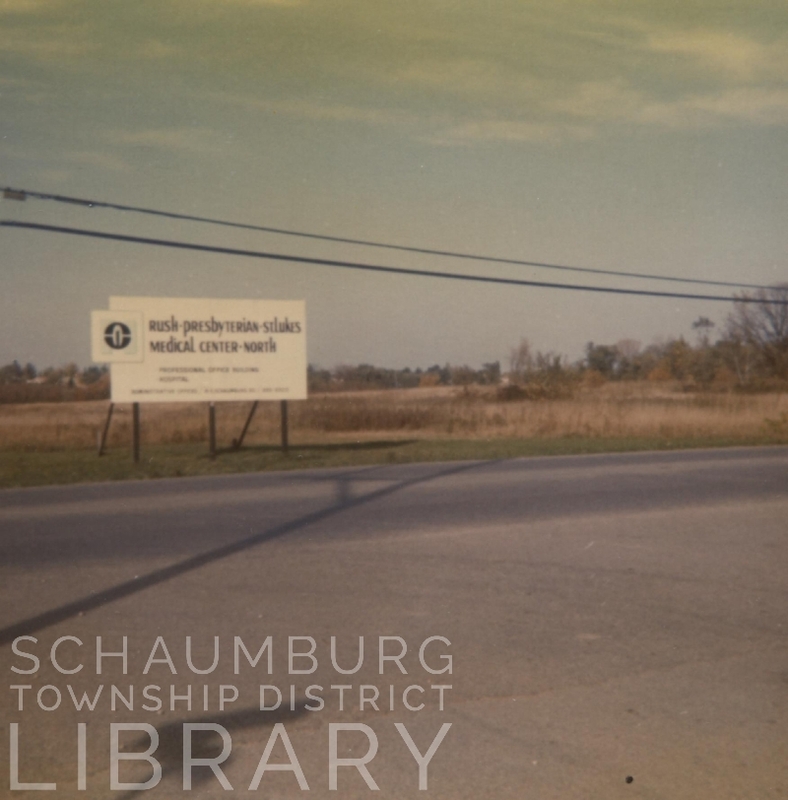 In July 1972 the Village of Schaumburg and Rush Presbyterian St. Luke’s Medical Center North announced that they were beginning negotiations to bring a hospital to Schaumburg. Their potential site was the home of today’s Friendship Village and, at that time, was owned by A. Harold Anderson of J. Emil Anderson & Son, a large Chicago area development company. The sign notes their potential development of the space. 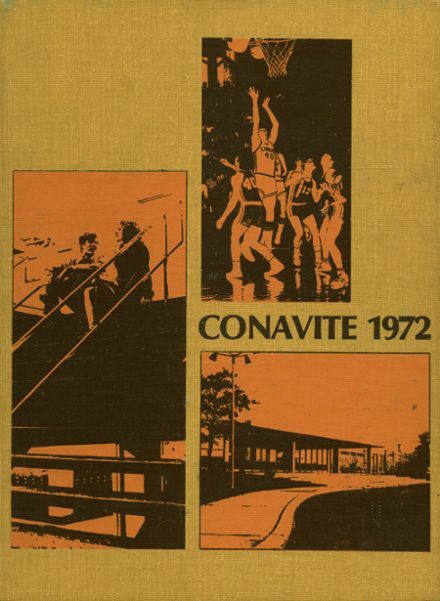 The project was disbanded in 1975 when the costs became too high to bring a hospital to Schaumburg. Looking northeast across Schaumburg Road at Hilltop Drive. The cars across the street are parked at Blackhawk School which opened in 1958. 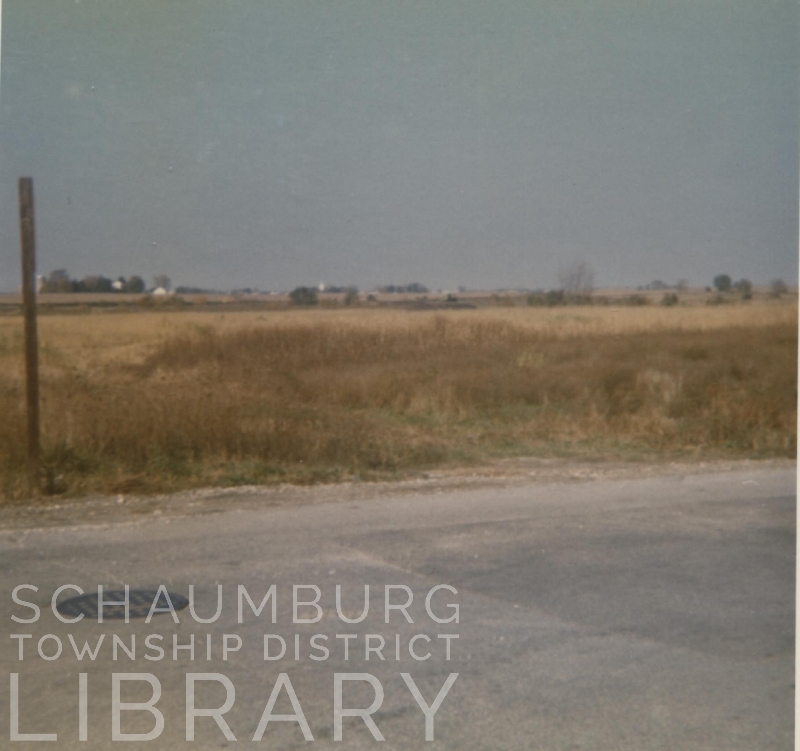 To the right is the property that would later be used for the Schaumburg Post Office. Looking west down Schaumburg Road at Hilltop Drive. One of the Hoffman Estates Parcels is to the right off of two-lane Schaumburg Road. Note the tall oak trees on the right side of the road. They are remnants of the original Sarah’s Grove. The distinctive Episcopal church sign, also on the right, is there to point out the Church of the Holy Innocents that was on Illinois Boulevard for many years. 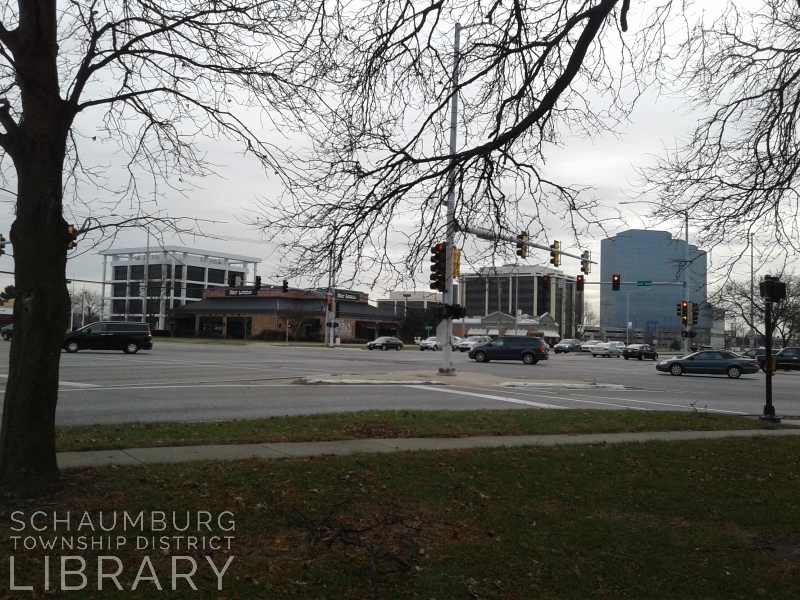 Looking across Barrington Road at the Schaumburg Road intersection. 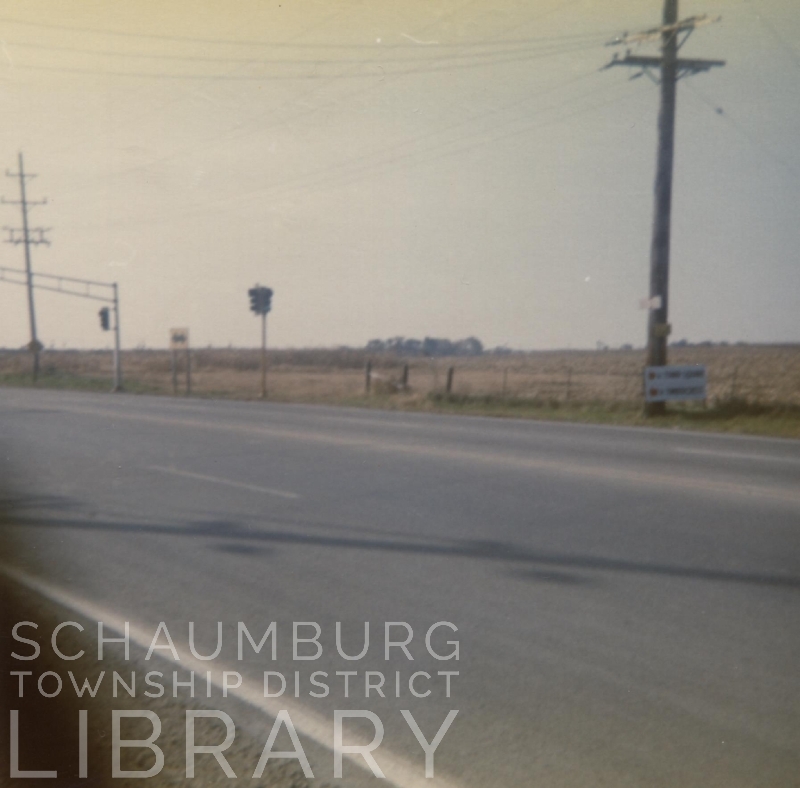 Notice that Schaumburg Road ended at Barrington Road at that time. 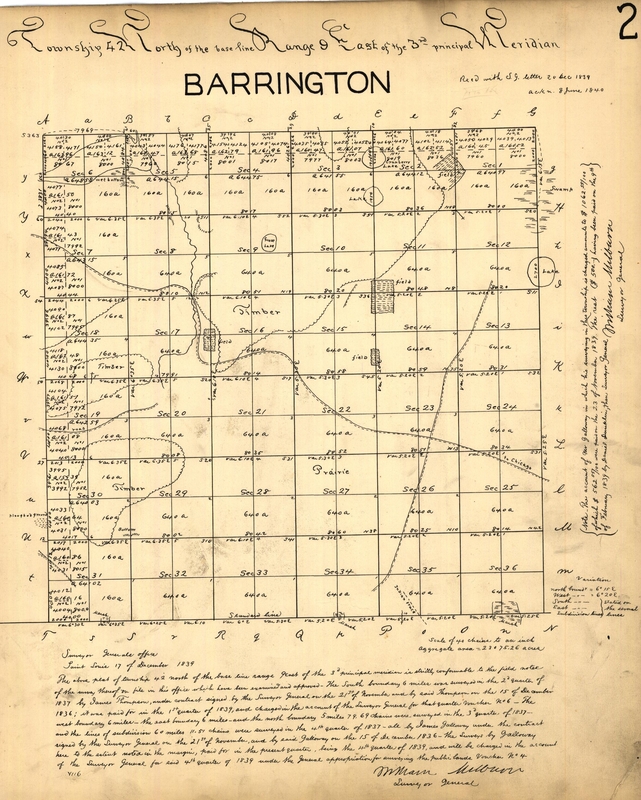 Even so, Barrington Road was a four lane road with a stop light. The open spaces, undeterred by development in these photos, were abundant and definitely carried a rural feel. 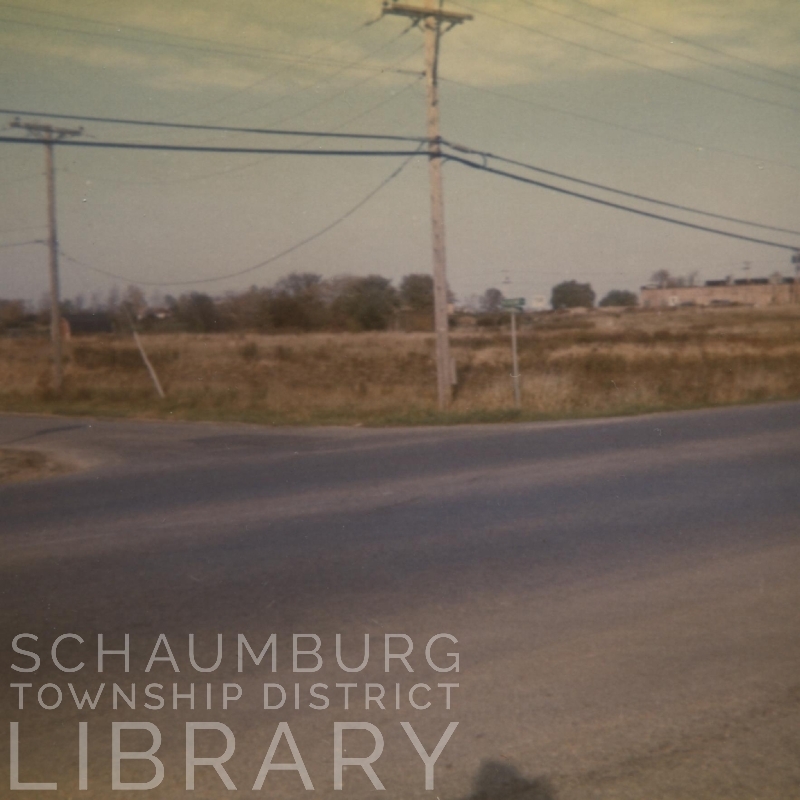 Schaumburg Township in 1973 still had an awful lot of growing up to do! 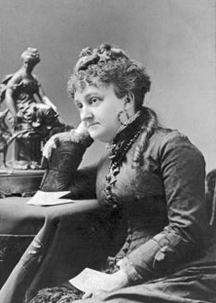 My thanks to Ruth Volkening Clapper for providing the necessary details that allowed me to complete this blog posting. Her personal memories and knowledge of the area were a wonderful addition to the photos taken by Mrs. Arnold. See that purple ball in the middle of the photo? It’s on the edge of a corn field and is really a beautiful little plant. But, then, most weeds are. It’s a thistle and is one of many varieties in the United States. 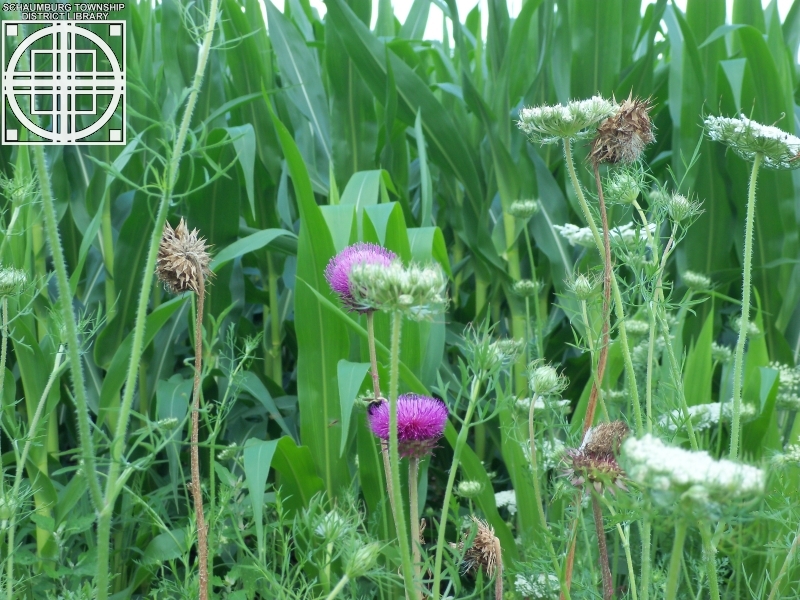 Thistles are considered a problem plant and can be difficult to control. In fact, they were so rampant in Illinois in the early 1900s that many counties–including Cook–created a post in their township governments for Thistle Commissioner. It was the job of the commissioner to make sure the farmers and landowners kept their thistles and other “noxious weeds” under control. When one farmer let the situation get out of hand, the weeds could wreak havoc on neighboring farms. Thus, the Thistle Commissioner would tour the township’s roads, take note of large infestations and notify the offending landowner. If they failed to comply, a crew would be hired to take care of the problem and the bill would be handed over to the landowner. Obviously, it would be in the farmer’s best interest to stay on top of the situation and keep his fields clean. 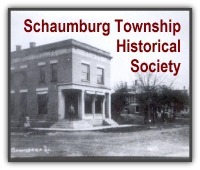 According to Schaumburg Township Officials 1850 to Present, compiled by L.S. 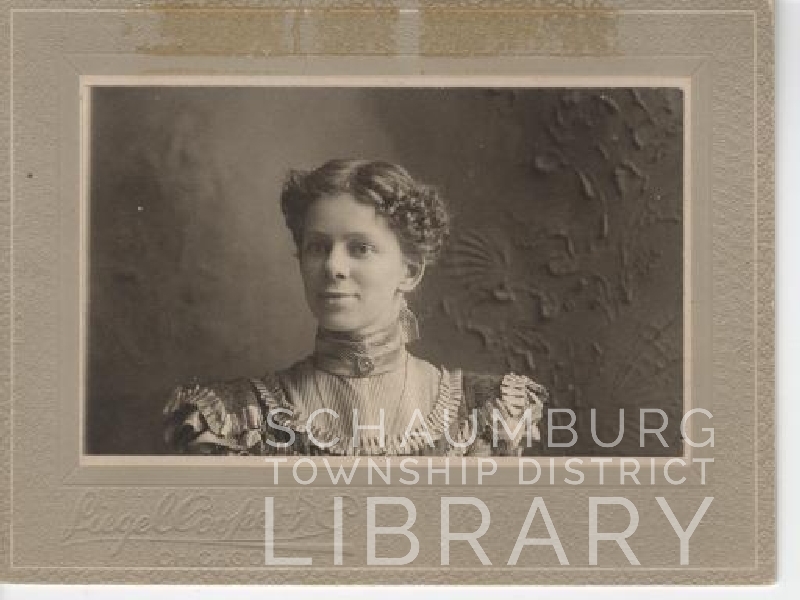 Valentine, the first mention of a Thistle Commissioner for Schaumburg Township was in 1915 when Fred Springinsguth took on the job. By 1924, August Geistfeld had the job and was being paid $5 a day to make sure the fields, pastures and roadsides were tidy. Others followed in their footsteps over the years. Walter Fraas, who lived in the south side of the Township served in the 1940s and, according to his son, Donald, took the job very seriously. Below is a letter he would send out to offending landowners. The task of actually controlling the thistles often fell to the farmer’s children and they did NOT like the job. 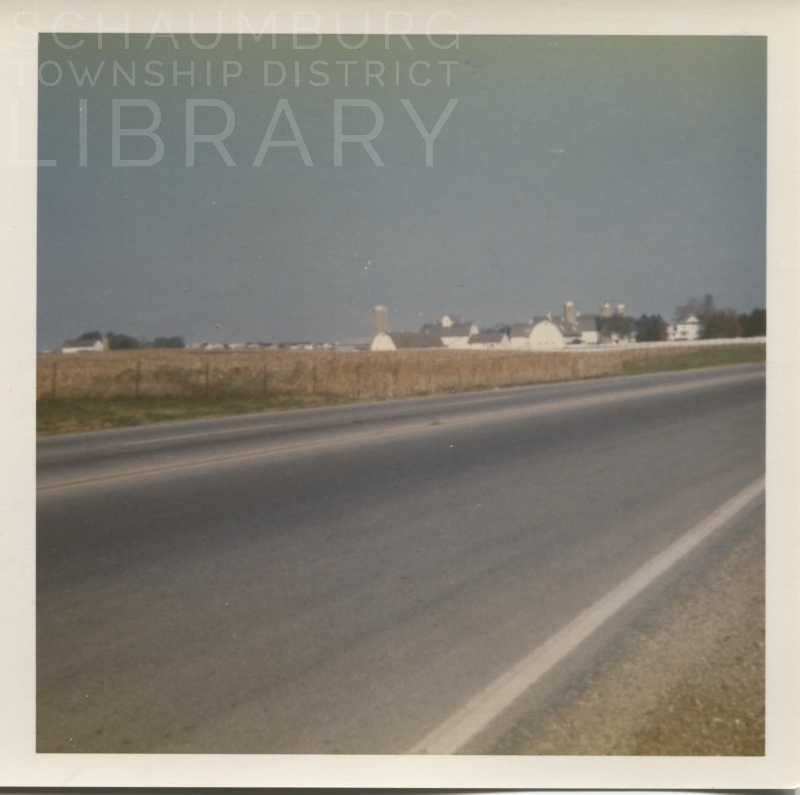 In her oral history on the library’s Local History Digital Archive, Esther Mensching spoke of how her father would send them out to the field, clad in leather gloves, and they would pull the plants by hand. The thick, impermeable gloves prevented them from being stuck by the thistle’s spines. It was necessary to do the job before the plants flowered and after a rain when pulling the taproot was easier. As the thistles were yanked, they were thrown on the field. The children moved through the fields, row by row, from 8:00 to noon, taking an hour or so for lunch and then returning until 4:30 when it was time to come back in for the milking. This was not a job for the faint of heart! The Thiemanns spoke in their oral history about each person taking 2-4 rows in the corn and oat fields and tackling the thistles with a hoe. The intent was to get to the thistles by the time the corn was 3-4 feet high and the oats were around a foot high. They, too, disliked the hot, sweaty, boring job. Their job, however, didn’t end with the fields because they would also use a scythe to cut down the thistles and all other weeds in the fence rows. In yet another oral history, Mary Lou (Link) Reynolds, daughter of Adolph and Estelle Link, talked about how her father lost his job as a commercial artist in Chicago during the Depression. Through a friend, he obtained free housing on Minna Redeker’s farm (now Spring Valley) in exchange for keeping the thistles under control on the property. 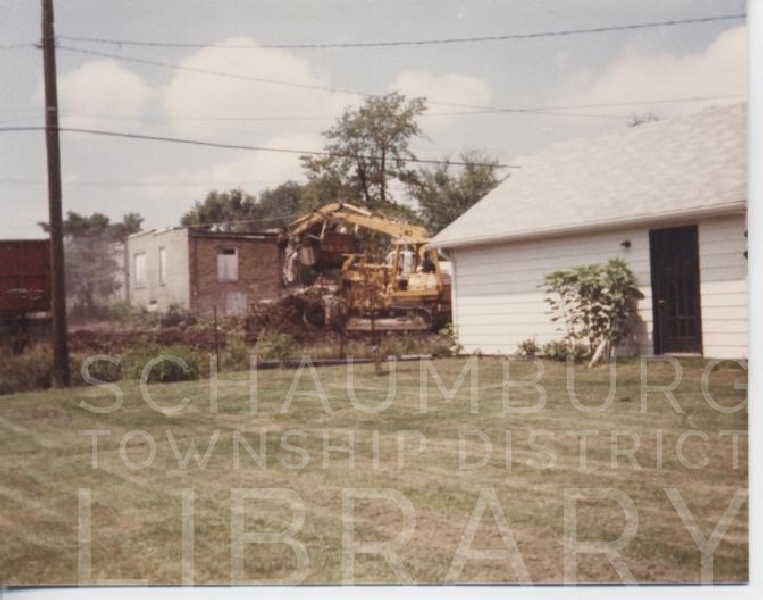 It was obviously a win/win situation for both landlord and tenant at a difficult time, but it is also clear that thistles were a difficult issue for the farmers of Schaumburg Township. Due to continuing infestations, the office of Thistle Commissioner remained in effect until the early 1970s. Around 1972 Cook County eliminated the position and turned the job’s responsibility over to the Highway Department. By that time development in the township was beginning to overtake the farm fields that were left and the job became obsolete. Thistles, though, are still considered “noxious weeds” and if you come across any in your yard, just take your leather gloves or hoe to them. It’s a lesson learned from yesterday’s farmers!